FIXED ISP ISSUES! WILL BE STREAMING FREQUENTLY! Thank you all for supporting me so far! <3 Was cool to have people like MaddeLisk in the chat! 안녕, 빅타 김 입니다. Hi my name is John Victor Kim. Born on August 7, 1992 in Seoul, South Korea. Moving from Seoul to Toronto, ON in Canada in 1997. My dream is to become a pro gamer and to compete against the very best that the world has to offer. Although, many real life issues get in the way of my Starcraft career, I try to practice every day when I can physically do so. I will try my best to commentate while playing but it is very hard for me to focus while talking about what the fluff is going on within my games. However, if I do not provide a commentary for my matches, I will gladly look into the replay and go over it with you when requested but just for you guys! I love interacting with my viewers and giving them tips to improve their game play. October 27, 2012 - We have NuBrGNi going head to head with DDE at the Untouchables LAN #1 in Mississauga, ON. John had to fight hard, being knocked out in the round of 1 into the loser's bracket by DDE. 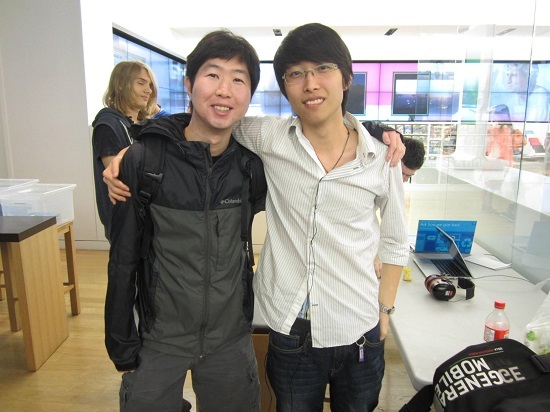 However, they met again in the Grand Finals. NuBrGNi took the first set but crumbled to DDE's amazing 11/11 Barracks All-in. After an amazing match, no hostile feelings were had. John realized the potential to become pro was there. March 3, 2013 - We have NuBrGNi take 4th place in LAN ETS 2013. Going strong in the winner's bracket he eventually met with coL's Hendralisk and losing his set with 1-2, he dropped to the loser's bracket to face FXO's DesRow. After 2-0'ing FXO'DesRow in the loser's bracket he was on to face Team Killing Spree's Jig for 3rd place and another shot to get into the finals. However, due to an unfortunate miscommunication with the LAN ETS admins, NuBrGNi was disqualified from LAN ETS due to "Absence". I'll be streaming quite a bit now that I have my new net! Thank you for your time, I hope to see you around! Here are direct links to my Social Media pages! it's like Lamborghini but with noob instead of lamb. Awesome, not a zerg player but I like watching streams in general. I'll be tuning in. tyvm for all the support, streaming now! Live in the early morning! Getting a lot of BM this morning. Good zerg player, very intelligent. Definitely worth watching/following!!! OpTiK is a great team with many prominent players. He is really trying to put in more time and improve as of late. tyty <3 can't sleep, streaming for a bit before I go to work. Keep it going !! ! ! ! ! ! ! ! !! ! love you guys. commentary upon request!